The love of all things artsy has always been in my blood. The love of purses has been hanging around about, oh, fifteen years or so. 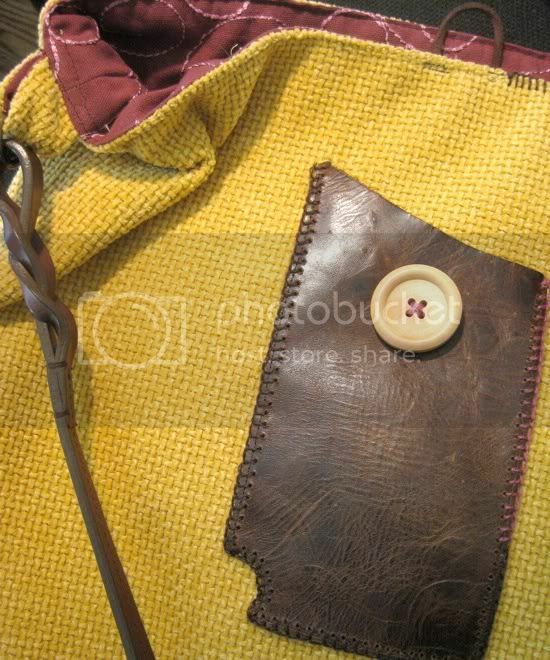 Combine the two, add in old leather, fabric, buttons, trim, and a sewing machine and you've got yourself a bonified obsession. Not sure if this will burn out eventually, but I'm having a blast. I've made five so far and have sold three. Every time one sells, it's like fuel is added to the fire. Both are for sale in my Etsy shop. Glad you are having such success with them...and enjoying it. My goodness. You put my sewing skills to shame. I made my last purse and it resembled a pillowcase, mostly because I can only sew straight lines. Good luck with your new products! 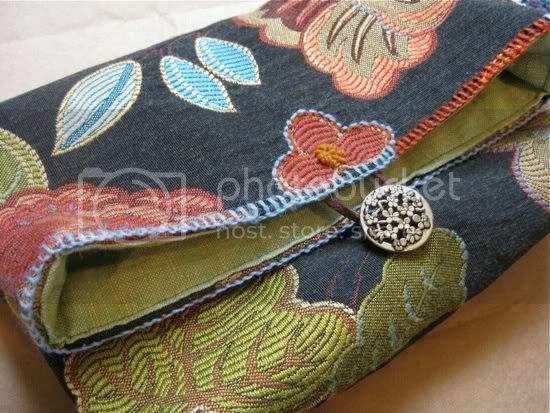 I am so envious of those who can sew... I am so horrible at it. And I am with you with the bag obsession... a girl can never have too many!